How much in game coaching will happen? What are the plans for the goalie position? What players are coming back this season? Why did Coach Haviland decided to come to Colorado College? 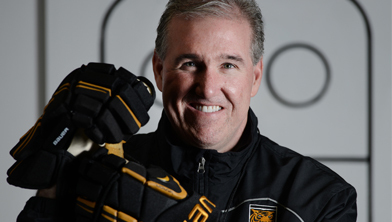 Colorado College Head Hockey Coach, Mike Haviland, held this Vekeo event with fans to discuss the 2014-2015 season. He talked about his background and what he’s looking forward to in the season. Coach Haviland shared some of his coaching strategies and his position on offense. He also addressed the type of player he is interested in and the skills they bring to the game. He looks to push the pace of the team, with the goalie and the goal tending roster is an area he is currently planning. He is competitive and realistic about the goals he has for the team the 2014-2015 season. Coach Haviland stated he is still getting to know everyone and is very encouraged by his new staff and the players. Produced by McBrearty & Associates.